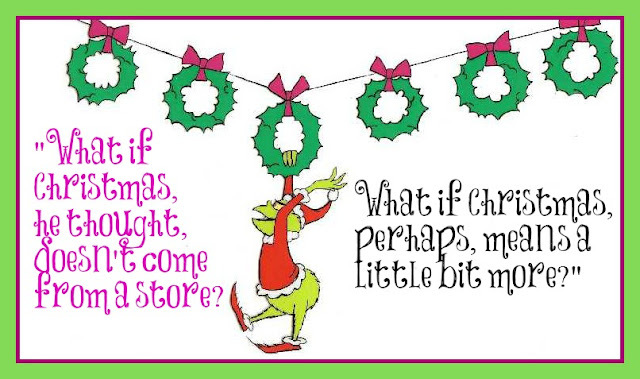 ...the day even the Grinch made a banner. Welcome to Day 2 of the "Christmas Banners for Special Needs Kids" Blog Hop! It's no fun for children who must spend Christmas in the hospital ... no fun for their families, not for their friends, not even for the Grinch. Our paper crafting volunteers realize this, and now for the second year in a row, have come together from across the world to make and donate fantastic holiday banners, to help lift their spirits in the hospital. Last year when I hosted this Hop, I served as Admissions Coordinator at a group home for medically-fragile children. They loved getting our banners! 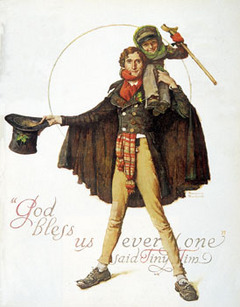 This year, I am out on disability myself (and I miss "my kids" terribly!! ), so I looked for another worthy recipient of our great banners. I didn't have to look far -- in fact, I looked back, to the young, wonderful woman named Madison Womack who partnered with me on the very first banner hop in 2011! Madison's perfect cause is her "I Feel The Love Project." Throughout the month of December, I'll be adding crafty goodness to this basket so that it will be over-flowing and ripe and ready for under your tree. I'll be picking the winner on Christmas Eve, announcing the winner on Christmas Day, and if you win, you'll have the basket in your hands by New Year's Day!! Stay tuned to the CardMonkey blog over the next few weeks leading up to the drawing, as I'll be posting the contents of the basket as they mount. 1. 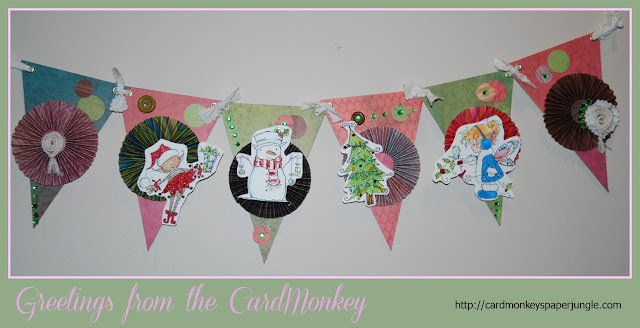 Be a follower of the CardMonkey blog and tell me in your comment how I can contact you. 2. Leave a comment telling me what you plan to make and send to the IFTL project by their deadline, December 10. Then do it! Go to www.ifeeltheloveproject.blogspot.com for mailing information for your card or banner. Your card or banner MUST be received by Madison by the deadline to be eligible to win the GRAND prize! NOT READY FOR PRIME TIME?? You can still win great blog candy just by being here and commenting on as many banner makers' blogs over the course of the next three days. Susan Bermudez, Independent Consultant for Creative Memories, donating a $20 gift certificate for Creative Memories products from her catalog (http://www.mycmsite.com/sites/susanbermudez/). Fresh Brewed Designs: Two prizes - One prize is a rubber stamp, Item #497 "Cutie Pie Ice Skating" (http://www.freshbreweddesigns.com/item_497/Cutie-Pie-Ice-Skating.htm), and the other is a $15 Digital Stamp gift card. The Paper Temptress (www.papertemptress.com) - Owner Patricia Dunbar will donate a $25 Gift Certificate to her online store, the Paper Temptress. In addition, Close to My Heart Independent Consultant Lucy Kelleher will award a $20 gift certificate to a randomly-selected hopper who visits her blog (http://love2createitall.com) and/or Facebook page (https://www.facebook.com/LucyK.CTMH) and posts a comment about the banner blog hop! What a darling banner my friend!!!! I am so proud to be a part of this blog hop with you!!! What a fun banner. i love it. Thanks for sharing! This is such a wonderful cause! I am in! I will start working on my banner tomorrow! Let me know if you need more boy or girl banners, I can make whatever you need. I can never turn away from a child in need. Beautiful banner, Ellen. Thank you so much for allowing me to participate again. THis is such an amazing cause! What an adorable banner! This is a wonderful thing you are doing for these wonderful children! I am already a follower and huge fan! I am so touched by what you are doing for these children. Wow! I am going to start making my banner today. It should be done in a couple of days. Thank you also for a super awesome chance at winning such an amazing basket of blog candy! It is like a basket full of heaven! Will start working on my banner now. The banner you made is incredible. It has inspired me and has put some ideas into my mind of what I will make my banner look like! PS. Madison got my banner yesterday. Ellen, what can I say. Another sweet banner. Your love for the kids and your support mean more to me than you will ever know. THANK YOU so much. I hope we get to meet one day!! What darling images. I will be creating a banner to send.